Debbie has been a licensed Nail Technician since 2000. "Today is a great day to treat yourself with extra care. Come relax and get refreshed. I will customize your service to meet your needs. My favorite thing about doing nails is connecting with folks from all over the world, beginning in Jamaica to the USA." Hello, my name is Karolina and I’ve been a nail technician for the past 14 years. I am experienced and good at what I do. My passion for Fine Arts and healthy skincare/natural ingredients shines through my work as a nail tech, with making everyone’s hands and feet look pretty and feel rejuvenated. It’s important to me that everyone I care for feels relaxed. "Hi, my name is Nancy. I have been a licensed Nail Technician for 20+ years. I love what I do! I am proficient in no-chip/gel, manicures, and pedicures. My specialty is a relaxing pedicure massage." Sarah has been a licensed Cosmetologist for 15 years. She is friendly and bubbly and loves connecting with each client individually. Sarah's favorite part about doing nails is experiencing how a fresh manicure or pedicure can transform a client's nails AND their mood/day! 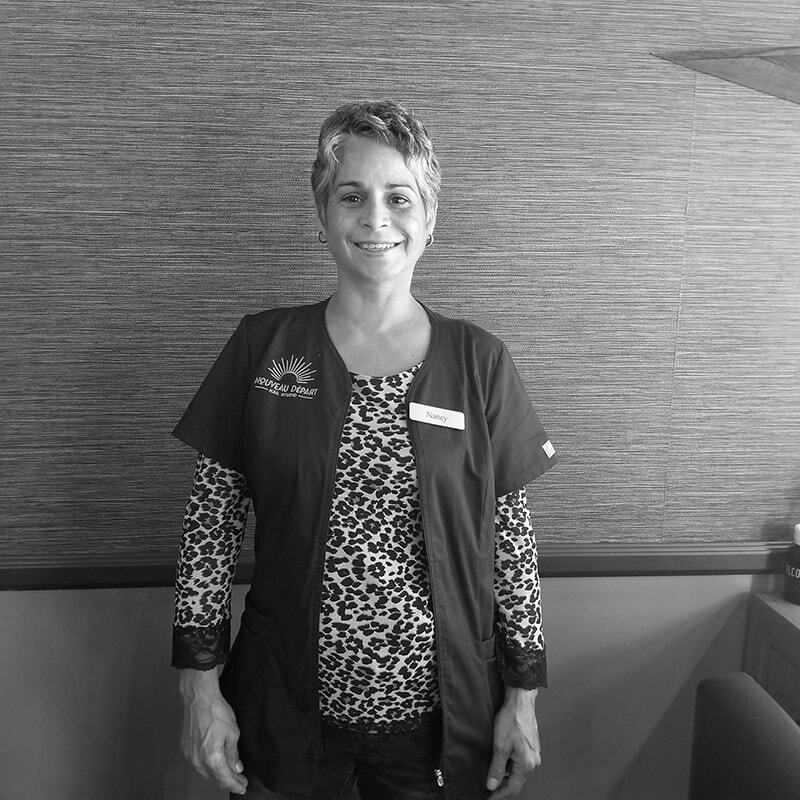 Sarah strives for perfection with every service and is continually learning new nail trends and techniques to provide clients with the best possible experience. Veronika has been obsessed with nails ever since college. Now a licensed manicurist and esthetician, she is excited to continue her professional career in her hometown of Chicago. Veronika’s passion is providing quality and friendly service while educating guests on healthy and mindful nail care. Veronika’s speciality is massage.